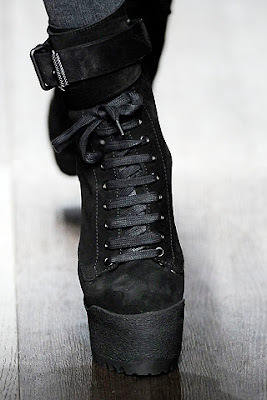 i was looking at the fall 09 burberry prorsum boots that are kind of like a crossbreed between the emma cook topshop boots and the balmain fringe boots. 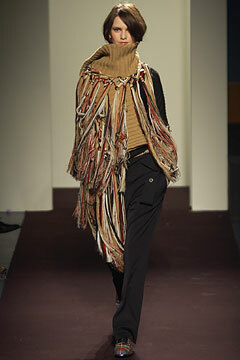 which made me randomly think about the scarf from the fall 2002 collection that i had been so obsessed with that i even tried to knit my own. i wonder who actually owns this and if they'll come knock on my door and hand it to me in a box with a big ribbon on it. in which case, can you please include a check for a million dollars?